Understanding the message, that all things point to Christ, the examples I observe in both the lives of Abraham and Isaac take on added spiritual symbolism for me, pointing to Christ. On that same vein, just as Christ explained, to know Him is to know His father who sent Him, by studying the life of Isaac we can see the similarities between his life and the life of his father, Abraham. Both Abraham and Isaac were asked to do incredibly hard things by way of sacrifice. Abraham was asked to sacrifice Isaac to show his commitment and obedience to God, as a final act to make the blessings of the covenant between him and God sure. With faith he executed the request, with exactness, thus demonstrating his willingness to trust in the word of God and in His ability to do all that He had promised. Similarly, Isaac was given the choice to willingly submit to his father and to become the sacrifice as his father was obedient to God. Both were being tested within the same offering. For Abraham, nearing the end of his life, it was considered his final test, and for Isaac it was the beginning of his journey, or series of trials and blessings, that would put him on his way to the relationship with God that his father enjoyed. 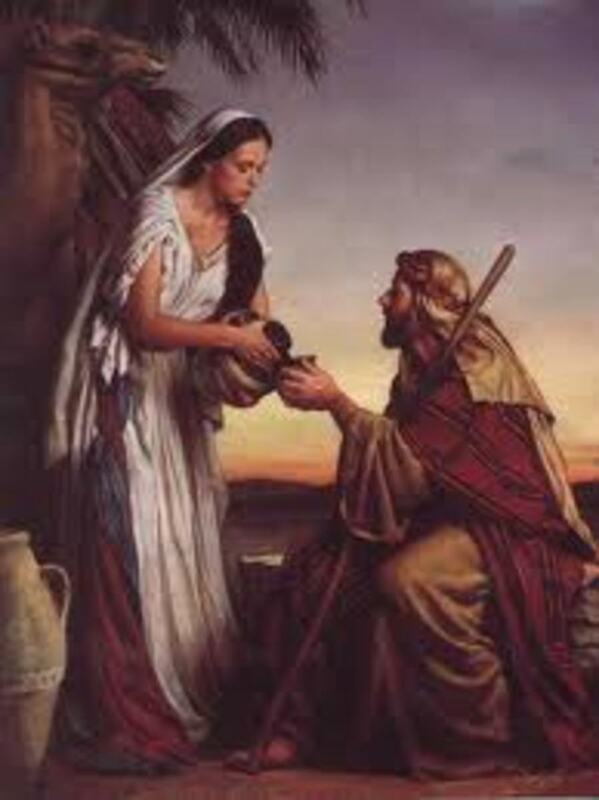 Isaac embarks on this journey with his wife Rebekah, who similar to Sarah (Abraham's wife) was "barren", and until their husbands "entreat" the Lord on their behalf, they remain without children. Both women are ultimately blessed with the opportunity to conceive and bare children. When Rebekah starts to feel the blessings of life which "struggled" inside her womb, she becomes concerned about the situation and inquires of the Lord about her pregnancy. Sarah also feels the struggling between her child and his brother Ishmael, which causes her to be concerned, both situations ultimately end with some sort of conflict. "Two nations are in thy womb, and two manner of people shall be separated from thy bowels; and the one people shall be stronger than the other people; and the elder shall serve the younger." 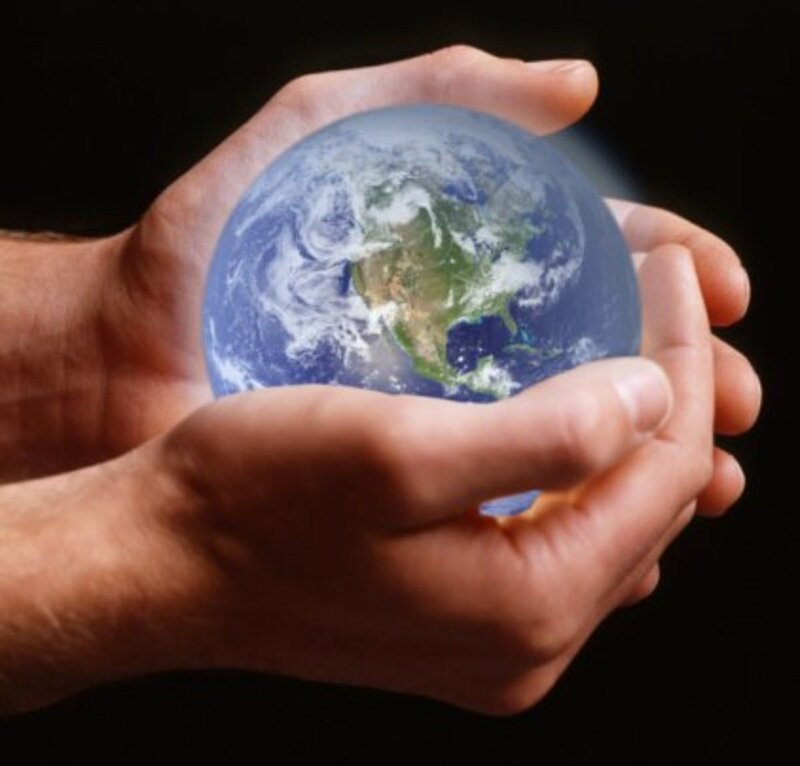 This prophecy is in direct conflict with the traditional blessing of the birthright. Under the patriarchal order, the right or inheritance of the firstborn is known as birthright. This generally included a land inheritance as well as the authority to preside. The firstborn of flocks and of human families was considered as belonging to the Lord, and was expected to be dedicated to him. This dedication could be either literal or by the payment of redemption money (Ex. 13: 11-16). From time to time certain prerogatives, opportunities and blessings have attended those who were born of a particular lineage. Two other conditions are important concerning the bestowal of the birthright, one being on condition of worthiness and the other simply the choice of the Lord. Photograph by Israeli artist Adi Nes. As the day approached and Rebekah was delivered, it was confirmed that she had been carrying twins by the actual birth. The firstborn son was "red and hairy" and they called him Esau. The second was Jacob and he was born holding on to the heel of the first. Esau because of the placement of his birth would traditionally be considered the one holding the "birthright blessing." We soon find out more about the character of both of the sons by some specific words used to describe them. Jacob is described as "a plain man, dwelling in tents." By further study, this description tells us much about the type of person Jacob is. The Hebrew translation of the word "plain" is rendered as "whole, complete, perfect simple, plain." When considering the word "tent" as referred to in the scriptures a symbolic meaning is implied to infer a "covering of the Lord", this is done through covenants, such as was done in a temple. This description of him helps us to understand that he was a "worthy" man. Conversely, Esau is described as a "cunning hunter, a man of the field", perhaps alluding to his weakness for worldly attractions. This inference to the type of individuals they are is further evidenced by the next scenario we are given. Jacob "sod pottage" or was boiling porridge, and Esau came in from the "field" and was "faint" and wanted to have some of Jacob's food (a similar incidence could be found in the parable of The Ten Virgins). 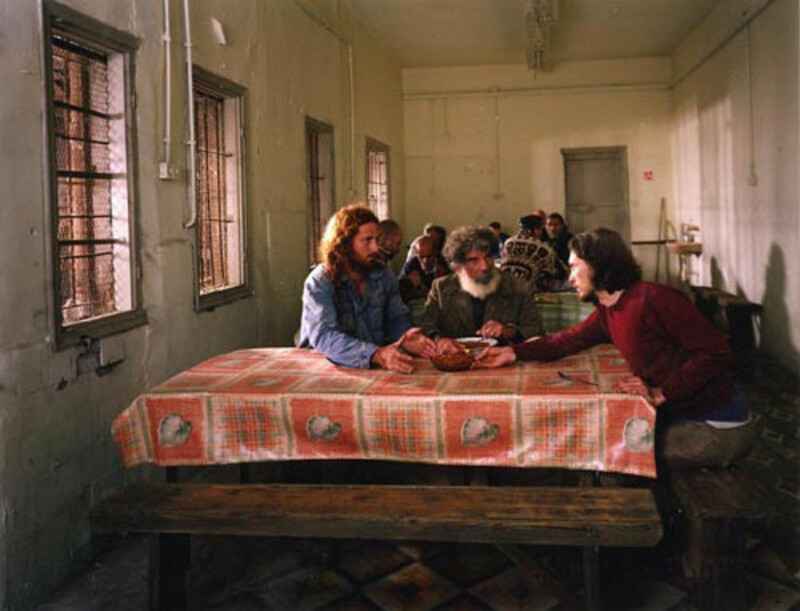 With the added depth given to the word "field" by the use of symbolism, it might be suggested that he was in need of other nourishment besides just physical sustenance; his long presence in the field may have left him spiritually hungry also. In recalling the definition as to the right of the birthright, Esau, the holder, was the one who was supposed to be dedicated to the Lord; instead he was out in the field. At this point, Jacob requires a payment for the food he will give to sustain Esau, of the right to the birthright, because Esau was not "dedicated literally" to the Lord he "offered the payment of redemptive money." It could have possibly been that the enticements of the world were much more appealing than the responsibilities that went with the birthright. Thus it is rendered that he "sold his birthright" unto Jacob and specifically "went his way" (not the Lord's way) and despised his birthright. Esau's unconcern for his birthright is further shown by his choice of wives. The requirement of the Lord was given much earlier in the scriptures that the birthright blessings were to be given to one who was married within the covenant line. Esau disregards this requirement and marries two Hitite women. This action causes him to become a "grief of mind to his parents", Isaac and Rebekah. By his own actions he has forfeited the right to the birthright blessings, and Jacob literally becomes Esau as the rightful birthright holder. This is important to remember, for when his father asks Jacob if he is his son Esau, he responds in the affirmative. As far as the birthright goes, he is. As Isaac becomes old and ready to pass the birthright blessing to his son, he calls Esau in and specifically gives him instructions concerning a righteous offering. It is important to understand that the people of the time were living under the laws of blood sacrifice as instituted with Adam and Eve. Isaac is requiring his son to make a sacrifice so that he may bless him. Now remember Rebekah was given inspiration as to who the rightful blessing holder should be long before the boys were even born, and so she takes it upon herself to make sure the prophecy is fulfilled. She calls Jacob to her and tells him to go and make a sacrifice to his father, that she will prepare for him, so that he may receive the promised blessing. But the goat, on which the lot fell to be the scapegoat, shall be presented alive before the LORD, to make an atonement with him, and to let him go for a scapegoat into the wilderness." 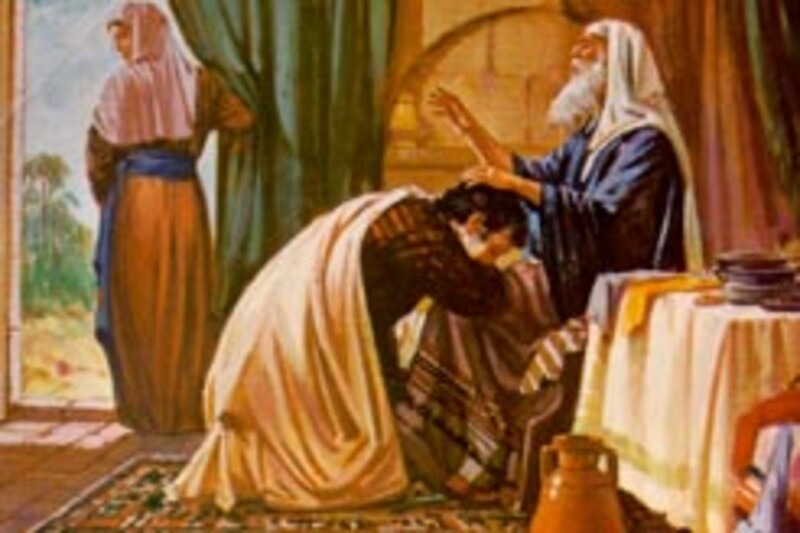 Rebekah is literally making an offering of one son, so that the other will have a chance to make an atonement through repentance and obedience to the Lord. Thus, Jacob becomes the offering, and Esau becomes the scapegoat. Jacob is known as the supplanter, which means to replace one thing by something else; likewise, Jesus has become our supplanter of our sins. 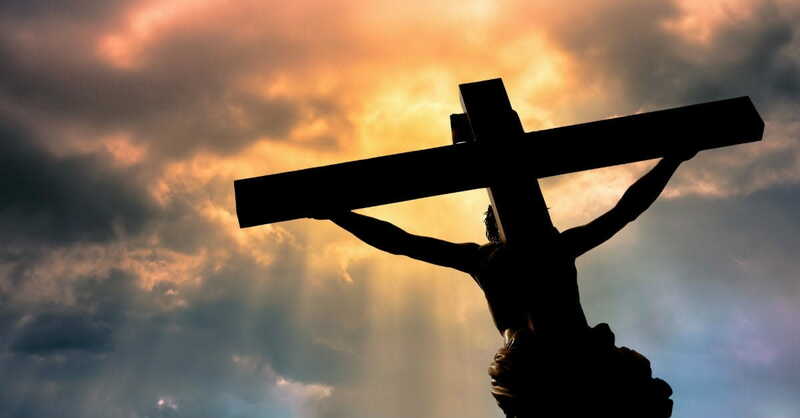 This to me is an awesome symbol for the role Christ plays for all of us. We, being unworthy to merit the birthright blessings on our own, have the opportunity to partake of the blessings though Him. This additional insight helps us to understand that Esau was given the blessing by actually not receiving the blessing in his unworthy state. His blessing is being able to apply the effects of the atonement in his life and partake of it worthily as he repents and becomes submissive and obedient to the Lord. King James version of the Bible, the book of Leviticus, Chapter 16. 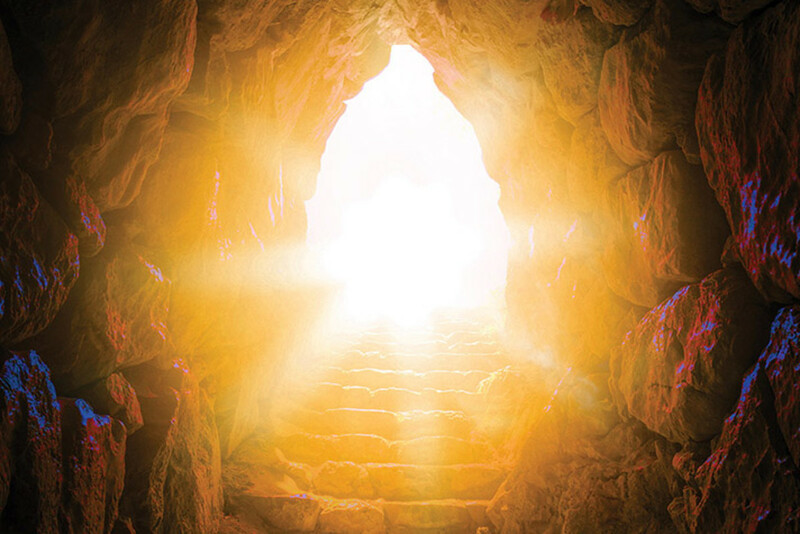 There are many more wonderfully symbolic meanings that apply to the additional story that takes place when the actual blessing of Jacob occurs, but for me, the most important evidence has already been laid. By simply understanding the type of sacrifice that was offered, we can conclude that, both Isaac and Rebekah knew the mind and will of the Lord and followed it. As Jacob explains to Isaac when questioned how he acquired the means for the sacrifice so quickly, "Because the LORD thy God brought it to me." Jacob was certainly the Lord's choice and nobody was fooled or tricked, I think all involved understood far better than we the observer. a reading of the exact same passages in the old testament from a different perspective re the story of Jacob and Esau. Also Biblical scholars have interpreted the gentile converts as symbolic Edomites. The actual name "Jesus" is linguistically Esau in Arabic and Esu in the sanskrit root. All middle eastern languages have Sanskrit roots. I will find some other relevant bible quotes when time permits. please give me scripture to validate this statement of yours.
" the people of the time were living under the laws of blood sacrifice as instituted with Adam and Eve"
There is no doubt to any serious Bible scholar that Jesus (Esu) and Esua (Esu) have the same phonetic root(see Sanskrit root). Advanced Bible theory all points to the gentile early Christians being regarded as symbols of the Edomites (and hence the passing back of the blessing onto the Gentiles and converted "Jews"). The actual sins committed by Jacob when listed fall into a very serious category of criminality such as willful deception, fraud, conspiracy,cowardice,bribery,stealing, failure to respect Elders etc. yet Esau forgave Jacob with a distinctly Christlike forgiveness. It is my personal theory that Esau was the pre-figuration symbol of Christ. I am not against the"Jews" and find their culture and religion most interesting; I am speaking strictly as a Biblical Archaeologist. No trickery you say, why esau's clothes and the goatskin, Isaac double checked by smelling his clothes to make sure it was Esau, and you conveniently leave out where it says, rebeka loved Jacob and Isaac loved Esau, reason that away if you like but the characters in the bible aren't perfect, they're human and sinners just like David. Next you'll be saying it was fine for him to have an affair and get the husband murdered. Nicely done, a very good look into the hearts of the people involved in this story. God heart is to truly bless all as we see later a great blessing came upon Essau also along with a changed heart and reunion with his brother. 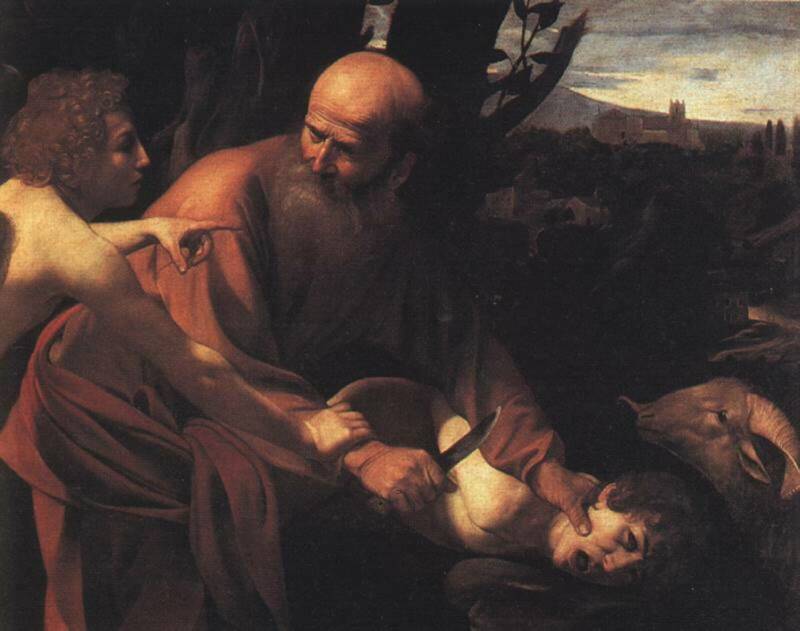 I also wrote a short hub on Abraham, Isaac, and the ressurection. You reminded me of my own internal battle between faith and fear. " If you pray why worry? And , if you worry, why pray?" Thank you for a concise review of Isaac's faltering faith. 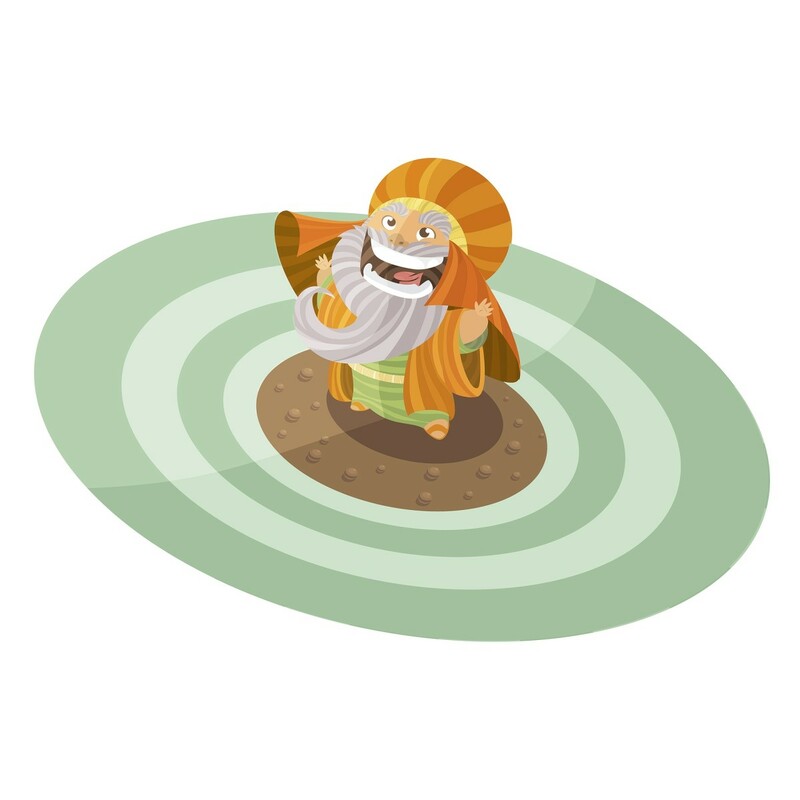 I linked this Hub to my new Hub about Abraham and Isaac. Thanks for the read. Your comments were awesome. I would be interested in what Nibley had to say about the &quot;double offering&quot; , the two kid offering... Let me know if you come across anything. Miss you. Keep in touch. Thank you for visiting my HUB. I will have to agree, it is one of the best books ever written. Also, thank you for the blessings wished upon me and my family, I feel the benefactor of those wishes everyday. Thank you again. &ldquo;he same land is both blessed and cursed, and the inhabitants likewise are blessed or cursed not by virtue of their family connection, but according to their behavior: &quot;It is a holy land; and I curse it not save it be for the cause of iniquity&quot; (Enos 1:10). The old Hasidic curse on the land of Canaan is virtually identical with that which is pronounced on this promised land in the Book of Mormon&rdquo; So the point is that one: when on sacred ground both blessings and curses are amplified and two: the curse has more to do with your behavior on that land then it dose with genealogy or birth-right for that matter. So esau although not an &ldquo;evil&rdquo; man by any means was working with a tougher standard because of the conditions set up by the lord governing that land, superseding the custom of birth right. Nibley continues: The Lord gave Canaan to Abraham on the condition that his heirs should follow in his footsteps. When Ishmael did not adhere fully to his father's teachings, Isaac received the inheritance. When Esau did not comply with the true tradition, Israel was given the heritage. When Israel became habitually delinquent, his heirloom reverted to Esau [i.e., Romans, Christians, Gentiles]. When Esau's followers degenerated they were compelled to surrender Canaan to Ishmael [the Moslems]. . . . The land was lost by Ishmael to Edom [Esau] [&quot;the Gentiles&quot; = &quot;Idumea or the world,&quot; D&amp;C 1:36] and will shortly be given up by Edom to its rightful owner&mdash;Israel. The same follows with nephi the younger brother of laman. So I think this all goes right along with what you were saying- peace out! Great hub In The Doghouse took a story right out of the best book there is Gods Holy Word. And thanks for the post on my creation hub. GOod hub.......... I am not too sure I would say decieved. Good and interesting insight in the hub! keep up the good work! Wow, thank you for your added testimony. I had a very similar experience with the earring request. Obedience to such a small thing opened up a whole new avenue for me. Thanks for visiting the HUB. I am always amazed at the underlying symbolism we find in each and evey story in the Bible and Book of Mormon. I have been a member of the church of Jesus Christ my entire life and am amzed at how much there still is to learn. I am gratful to people like you that get that understanding and share it with those of us who are a little behind. I have always been in awe of Abraham for his obedience to the Lord. What great courage and faith that would take to take your child to the altar. I am the mother of four great children and I would struggle greatly with that request. However, I through smaller tests of my faith have learned how blessed we are when we are obedient to the Lord. The Lord through our prophet has asked us to do many things like taking out multiple sets of earrings. A seemingly small thing or so it seemed. I struggled with that request wondering what could it hurt to have three small studded earrings in my ear. I had seen worse things, but for a week I was so uncomfortable that I was miserable. I finally after a week followed the Lords request and it was amazing the peace that came to my life and the strength to my testimony. I know that when I am being obedient my life is blessed. I am able to receive more inspiration for my family and my calling, I am happier, and great things seem to fall into place. For those looking at those things from the outside might call it coincidence but I know those things are from the Lord just as every blessing that I have in my life are from the Lord. Thank you for taking the time to visit my HUB. I will await anxiously for your HUB to come. Thanks. Great hub, Doghouse. My wife and I are fans of Abraham/Sarah and Isaac/Rebekah because we, too, have been blessed with a miraculous conception. It is true, everything in the Old Testament points to Jesus. There are beautiful Hebrew pictographs for the whole Abraham/Isaac/Jacob story, amazing actually. I will write a hub about them as soon as I get a chance. A big thank you to everyone who has commented on my HUB. Mike, Nana, Lisa, Calrigby better friends could not be found. Patty, such a compliment from a well respected HUBBER, thank-you. I also liked how Rebekah followed what she knew was true. She truly was sacrificing one son for another. What faith she had. I look forward to next weeks class. A wonderfully well-put together Hub. A part of Creaton itself. Great post! Beautiful parallels to Christ. I love the Caravaggio painting. Thanks for posting. Wow - you are amazing. This information is SO VERY interesting. Thank you! Thank you for a most refreshing review. Your perspectives are indepth, and inspired.